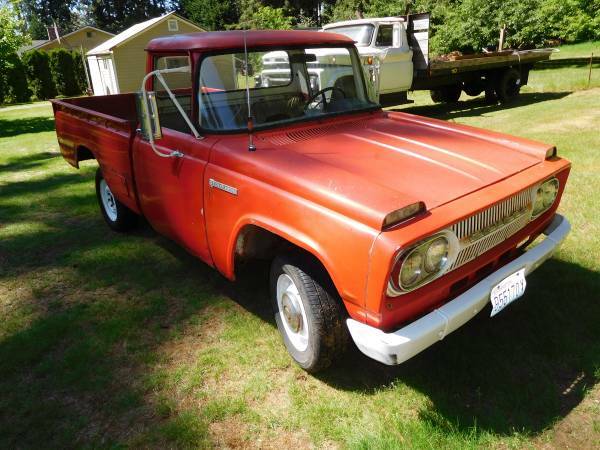 Here's Japanese old truck was posted at Craigslist about a month ago looking for $5000 located in Bothell, Washington. As you've seen here is a series of second generation light truck was made by Toyota known as the Stout built in 1967. The seller says is in good condition and is one of 4000 Stout's was imported to US, early import model that appears to be almost fully complete excluding the original engine and transmission has been driven about 123805 miles. That's could be good start to restored, rust could be a problem, but doesn’t appear to be pervasive based on what can be seen in photos.